Measures 13" x 7.5" x 16" high (extended). Beautifully grained Mahogany. 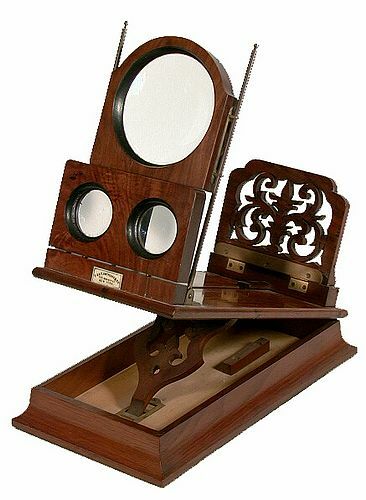 This is an unusual design in that the stereo lenses are completely detachable and are stored in the base. This vierwer is clearly based on the English "Rowsell Patent" and was likely imported by Anthony from England. Refer to wing page 133 for an illustration of the actual viewer being offered here from the Paul Wing collection.